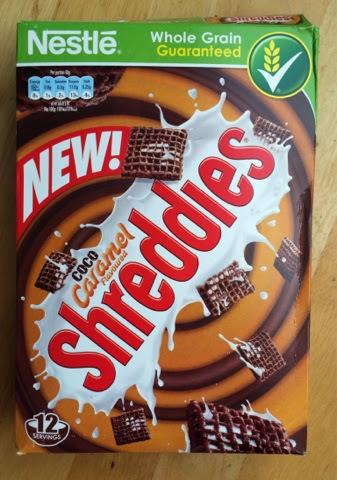 We were recently asked if we would like to try the New Coco Caramel Flavoured Shreddies, This was a very easy yes, since my son loves Shreddies his favourites so far are Frosted shreddies and Coco Shreddies. 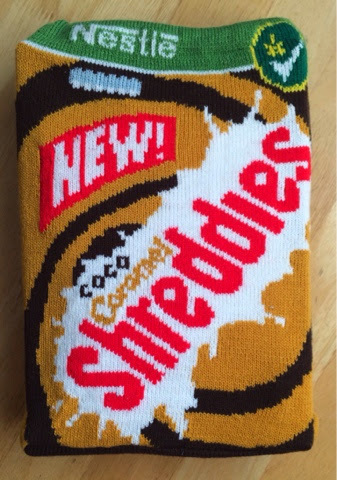 The Coco Caramel Shreddies arrived in a fabulous knitted cover made by Shreddies own knitting Nanas. 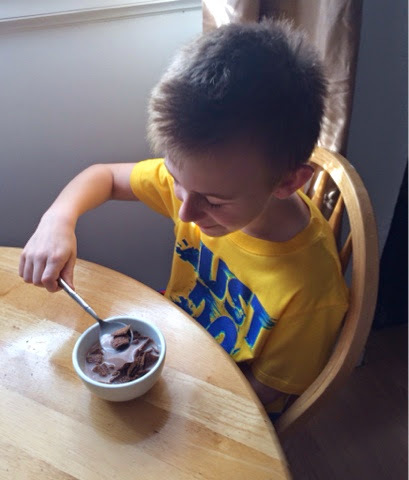 My Son and i have really been enjoying the new Coco Caramel Shreddies every morning, they taste nice and chocolatey plus you can also taste the yummy Caramel flavour coming through, my son likes to eat all the Shreddies in his bowl first so that he is left with a yummy chocolate caramel milk..which he then enjoys drinking through a straw...not only do they taste delicious they are wholegrain and each 40g serving provides 20% intake of iron and other Vitamins including Riboflavin (B2), Niacin,Vitamin B6, Folic Acid,Pantothenic Acid, making them a great way to start the day. we were given the Coco Caramel Shreddies to review, all thoughts and opinions are our own.